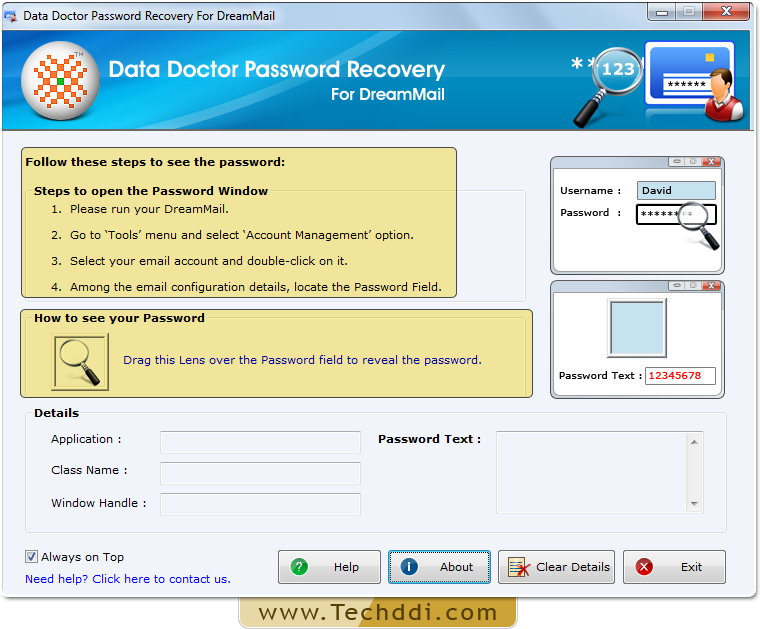 Password Recovery For Dream Mail provides instant recovery of lost or forgotten passwords of Dream Mail account. 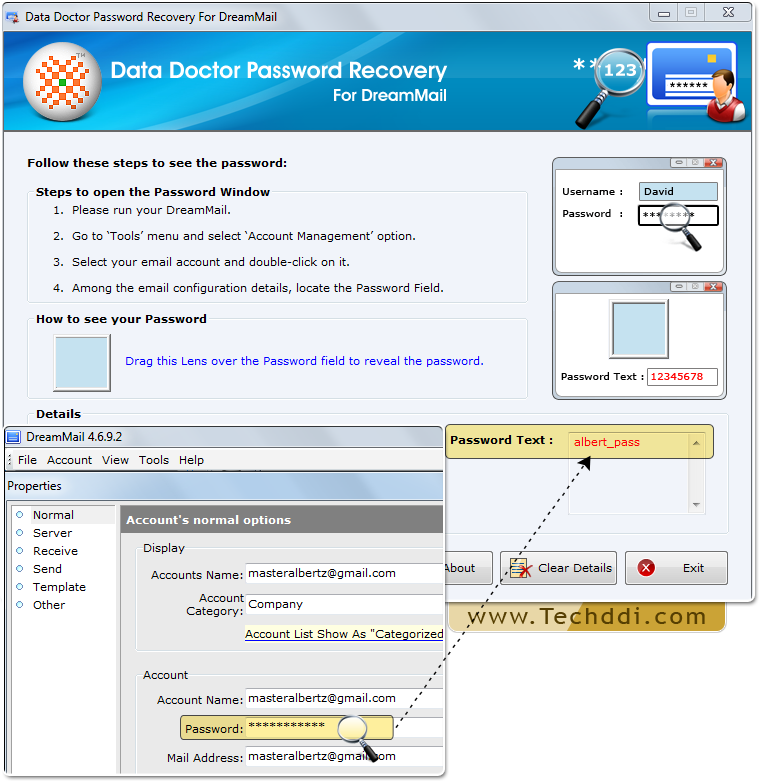 Password recovery software reveals long, complex passwords even with special characters. 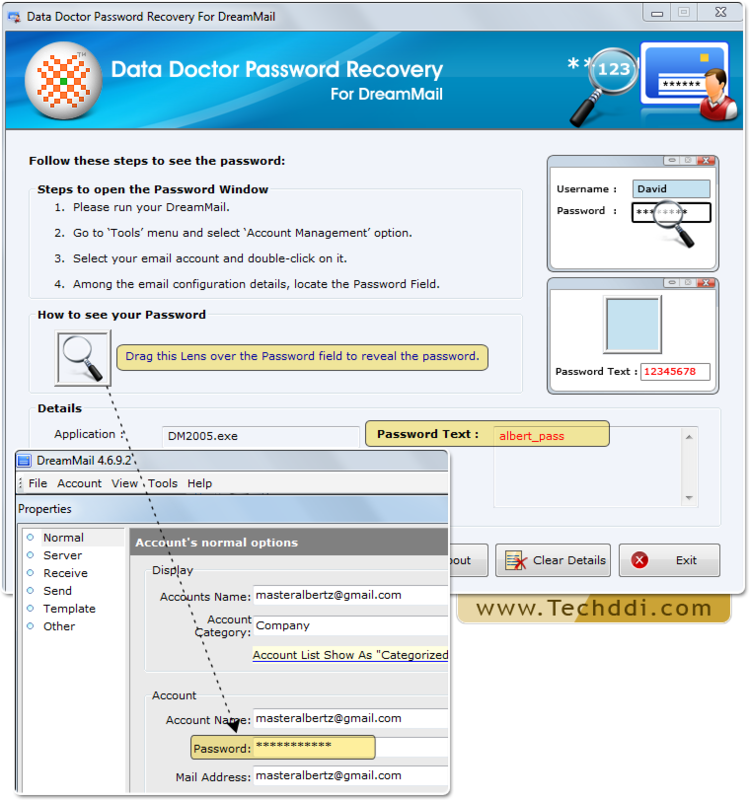 Recovery of password using Password Recovery Software For Dream Mail. 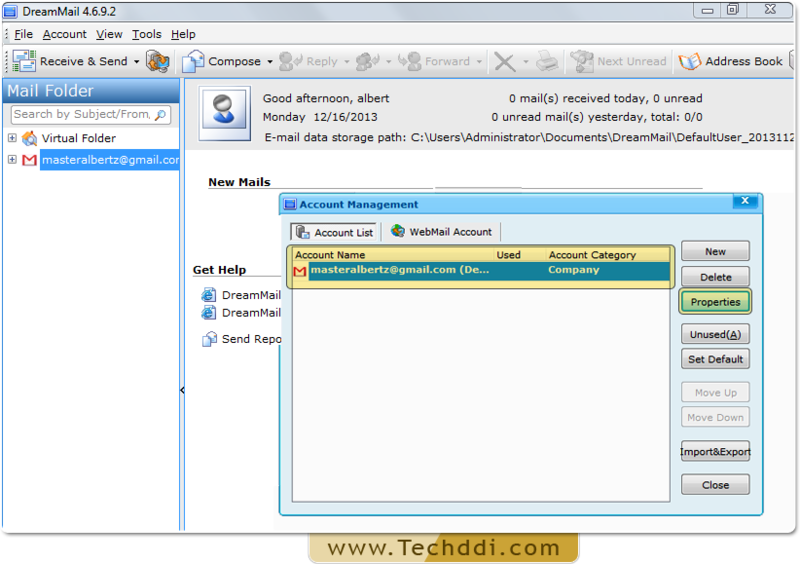 Install Password Recovery For Dream Mail. 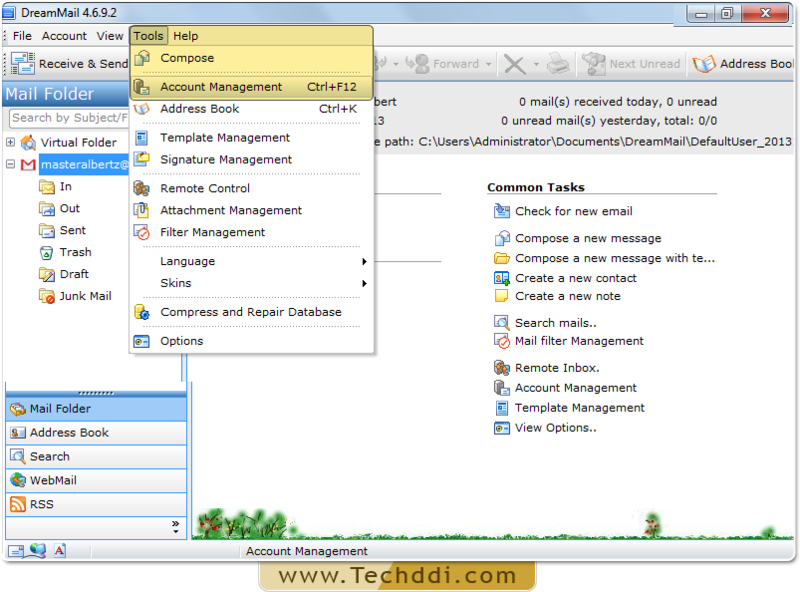 Open your Dream Mail and Go to ‘Tools’ Menu to select 'Account Management’ option. 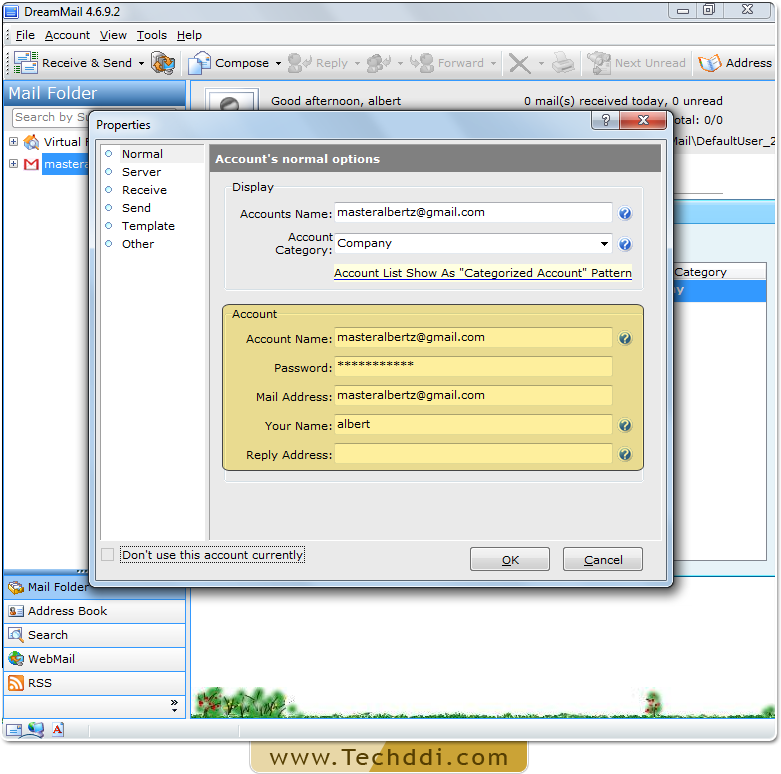 Among configuration details, locate the password field. Drag lens over hidden password to unmask it. Revealed password will be displayed in ‘Password Text’ field.